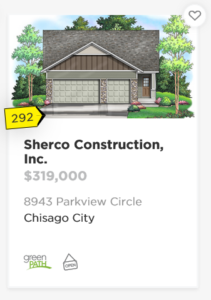 Spring will eventually come but the Spring Parade is almost here: Sherco is proud to announce that we have three beautiful homes in the Spring Parade of Homes. 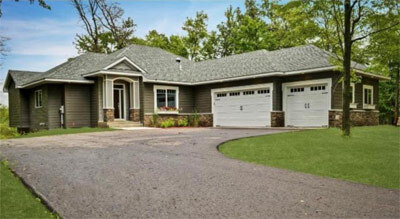 Homes in Lindstrom, Columbus and Chisago City plus 3 other model homes to see while you’re out and about. 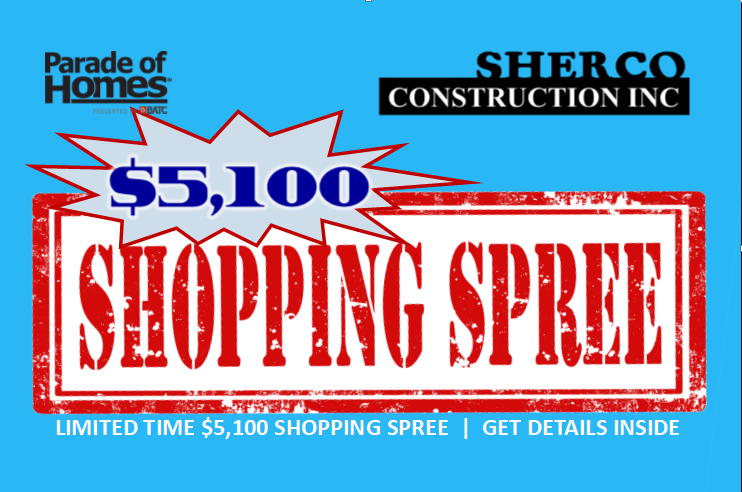 Parade of Homes Shopping Spree is Back! 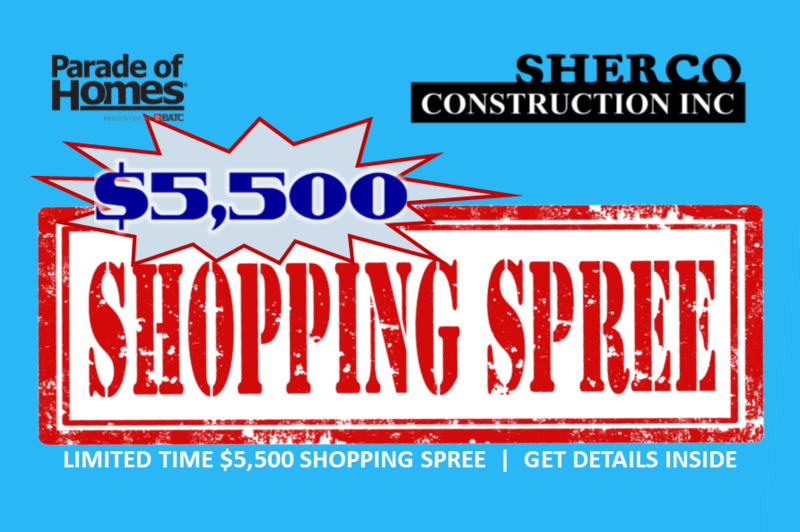 We are excited to announce that we are bringing back the $5500 Parade of Homes Upgrade Shopping Spree! Come and visit us in the fall parade, sign in and you will qualify to for the $5500 in upgrades. Good for a full 30 days after the parade. Stop in at one of our models during the parade for more details. The Fall Parade of Homes is almost hear. Mark your calendar to come and visit our Sherco parade models. The parade dates are September 8th – September 30th. 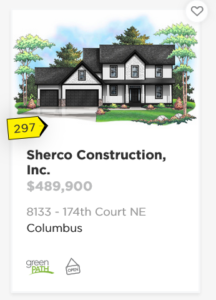 Sherco is proud to display our homes in the Fall Parade of Homes and we believe you’ll be delighted with our designs, our locations and our incredible quality of construction. If you are interested in building a home in the next 24 months, this parade of homes is a “can’t miss” opportunity. Models and maps will be posted soon so don’t forget to check back or find us on Facebook for immediate updates. More One Level Homes in the Forest Lake area! Sherco is proud to announce our involvement with the Preiner’s Preserve development. With 33 lots available in this one level living development designed specifically for homeowners who are 55 and older. 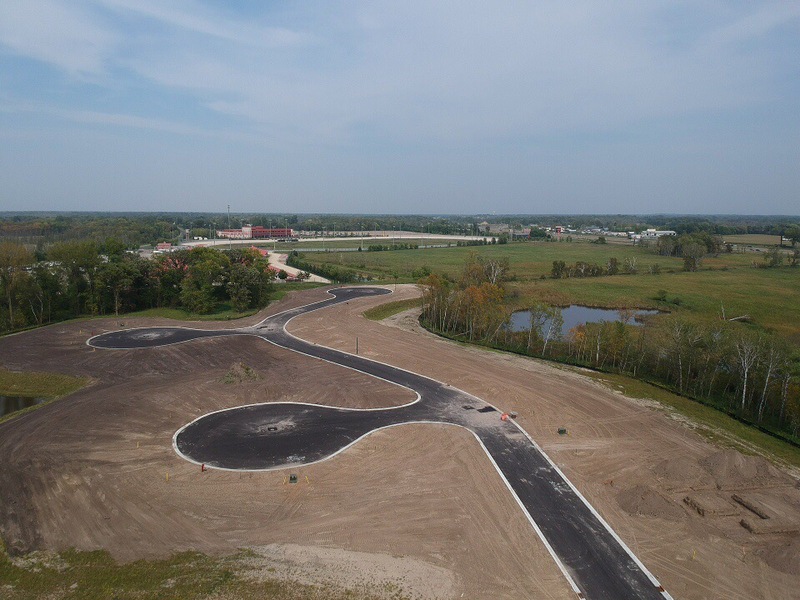 Located in Columbus, just outside of Forest Lake, it has many great features for those who are looking to relocate to a new home during the retirement years. These homes will be approximately 1500 sq ft and Sherco has several current plans that fit the lots perfectly. 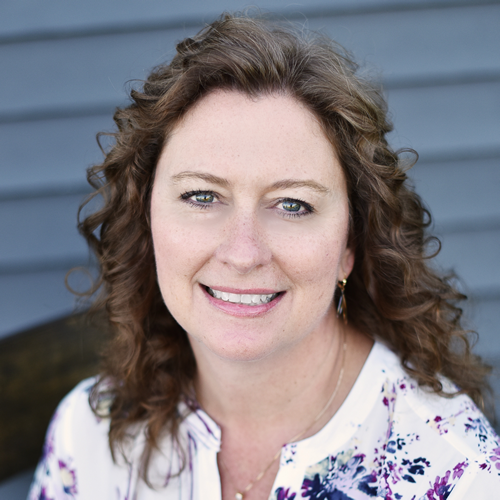 Of course, Sherco is a custom builder so for no extra costs, we can modify any plan to make your future home exactly what you want it to be. We are currently building a model home and it will be available approximately 60 days from this posting – around Christmas 2017. We have other models available now so you can touch and see the Sherco difference. Homes will be priced at around $300,000 with incredible craftsmanship, amazing design and a true luxury feel. A view from above of some of the lots at Priener’s Preserve. One level living lots, available for sale now, just outside of Forest Lake in Columbus TWP. 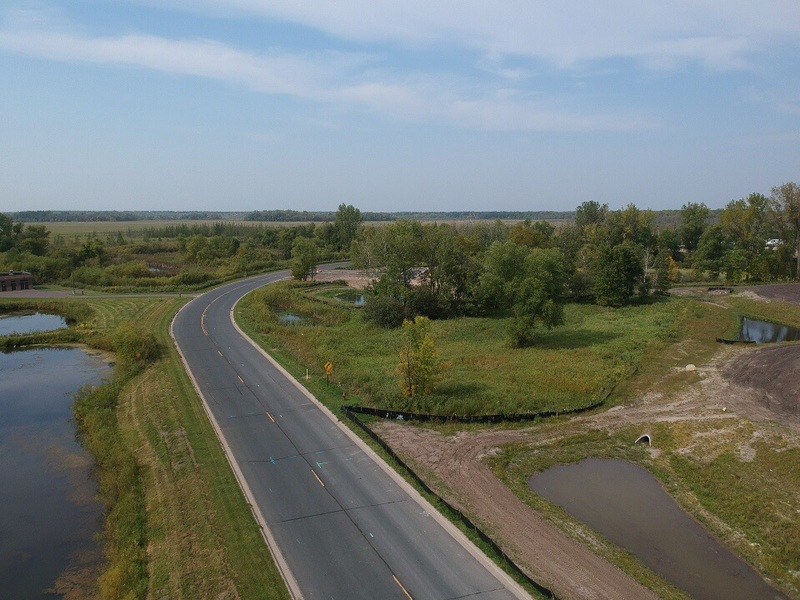 A view from above of the beautiful drive to the entrance of Priener’s Preserve. 55+ development in Columbus TWP, just outside of Forest Lake. 2017 Fall Parade is Almost Here – Sneak Peak? 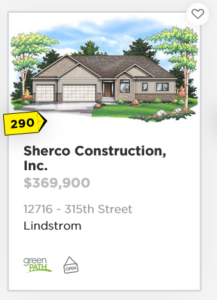 Sherco is excited to have 5 new homes in this year’s Fall Parade of Homes. These are some of our most popular layouts and designs and we highly encourage you to check them out. We are constantly receiving positive feedback regarding our design elements and use of materials. If you have any thoughts of building, remodeling or adding on in the next year or two, you won’t want to miss these beautiful new homes on display. The Parade begins on SEPTEMBER 9TH AND GOES THROUGH OCTOBER 1ST. The Spring Parade of Homes is Coming for 2017! Come and visit our new and amazing models in the this year’s Spring Parade starting on March 4th! Starting this Saturday, September 10th – The parade of homes is officially under way. Don’t miss all the great design ideas, new materials, beautiful and functional floor plans and fantastic lots and locations on display in the Parade of Homes. 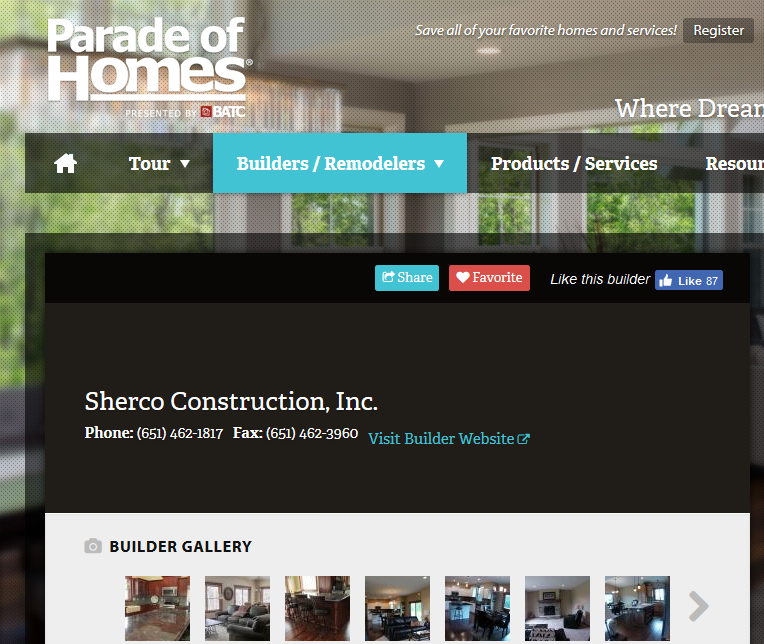 Sherco is proud to have 8 homes in the parade this year in some of the finest communities in Minnesota. If you have even had a small itch to build a new home, you don’t want to skip this years event. We have door prizes at each location so be sure to check in when you arrive. Click here to get more info on all parade homes to visit.